Well fast forward a couple of years and I’m not quite sure its hit 89% but there is no question that Customer Experience is the new competitive battlefield. When it comes to measuring what someone experiences, things get complicated because results are usually subjective. Customer journey maps are like roadmaps that detail what your customers experience before buying your product or servicestarting from awareness, moving through consideration, and all the way up to the actual sale. And despite popular belief, Customer Journey Maps have actually been a concept that’s been around for quite some time. But I digress. A Customer Journey Map shows a total sum of experiences that customers undertake as they interact with your brand. 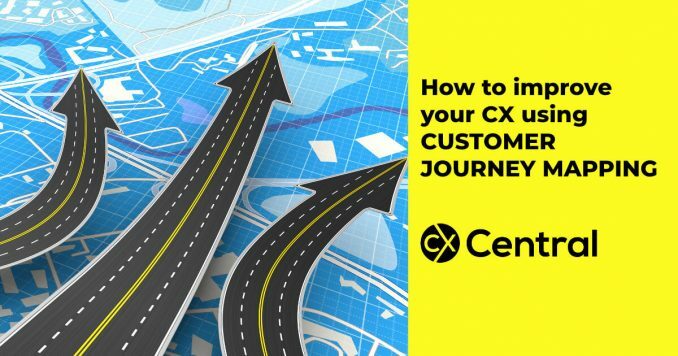 Its also a proper documentation of the customer journey in its entirety, as opposed to just looking at each part of the buying experience in a silo. This approach acknowledges that when a customer makes a buying decision, they dont just look at the product or service in a purely objective manner. Theres also an element of emotional gratification involved. The buying experience itself is just as important as the product or service youre offering, so it helps to determine the emotional experience that can best be understood by putting yourself in the shoes of your customers and mapping the customer journey. Customer journey mapping begins with a clear insight into your target audiences buying motivations and finding correlations that fit within your business goals. This customer-centric approach puts an emphasis on creating a positive customer experience and aims to nurture it. You want to create an experience whereby the feeling of anticipation is matched by the satisfaction of buying from your brand. This kind of satisfaction is what customers get when they seek out what they want, go through the process of buying it, and enjoy the consumption process. Whether they admit it or not, customers notice the ease or difficulty that they experience throughout the buying journey. As a brand, its your job take advantage of this opportunity to explore, understand, and improve to deliver better value and improve customer satisfaction. Creating visualisations through the use of diagrams and scenario representations will help you identify which parts of the customer journey need tweaking. With a visual representation of each touchpoint (social media reviews, face to face customer interface, customer service representatives, online channels, e-commerce website, feedback surveys, etc. ), it becomes easier to discover where gaps exist and what you can do to address them. A clear understanding of what your prospects go through as they interact with your brand will better equip you to manage their entire journey. End-to-end management means that you can introduce process improvements to hasten the journey towards conversion without removing anything from the experience. You want to nurture the buyers high they get when they have positive experiences with your brand. A good start is to identify pain points that potential customers face at each point in the journey. You can address them by making it easier for users to progress to the next stage. For example, if you take too long to respond to a prospects inquiry on social media, thats a pain point for some customers and might result in them seeking other alternatives. Improve your inbound marketing initiatives through a customer-oriented content calendar. This will help improve your ability to produce relevant content that your audience finds valuable. Offering the right content at the right time helps build authority for your brand and increase your influence, fostering trust and building strong relationships with your audience. To produce customer-centric content, youll need a good understanding of your target market and how they behave leading up to a purchase. This requires the development of comprehensive buyer personas and research on customer preferences for content types and delivery tools. What types of content do your customers respond to? Which ones dont resonate with them? When you see patterns of these gaps based on feedback, you can evolve your strategy to increase your chances of success. Depending on who your target audience is, different types of content will strike a chord. Youll need extensive research to truly understand where their interests lie and how to distribute your content in the best way possible. Obvious learning channels are primary and secondary market research, social media listening, customer surveys, and of course, keyword research. But you should never neglect the potential learning opportunity that comes from researching your competitors. Youll get plenty of relevant data simply by taking a closer look at your competitions successes and shortcomings. Leaking buckets occur where your prospects become dissatisfied with a particular part of their buying journey and end up detracting from the sales process. These are similar to pain points but show specifically where and what causes prospects to move on. Think about it this way: If a prospect has to wait too long for your brand to respond to a request, chances are itll create a point of dissatisfaction whereby the prospect moves on to a competing brand who can provide quicker response times. Some of the most common process improvements include better wait times and effectively setting customer expectations. Be proactive and dont wait for disgruntled customers to give you the same negative feedback before making improvements. Continue testing and improving throughout, and never waiver in making the customer journey as smooth and hassle-free as possible. Try to identify emotional triggers to see where you can deliver more value to your customers and keep them happy. Once youve discovered where your customers pain points lie, youll be able to fix them, creating a far more pleasurable journey. You should also look at and analyse your success points. Knowing where youre doing well helps develop effective strategies in the future. Once you have a good understanding of your customer, it’s important to personalise their journey with your brand. Dont just focus on the customers themselves, but also on the context that they re in. Context will help you deliver recommendations, advice and insightful offerings when a customer is most receptive. Keep in mind that customers these days have more knowledge, power and choice than ever before. If youre not personalising your approach, youll be alienating them immediately. But if you are, youll be driving brand loyalty and advocacy. People dont want to be just another number on a contact list. They want to feel special, so it’s in your best interests to create an atmosphere that reflects how much you care about them. You can facilitate these one-to-one relationships through identifying them by name, sending personalised communications to their inboxes, and tailoring brand experiences based on interests, likes and past behaviour. Having a clear understanding of your customers needs, preferences, and pain points is an important part of every successful sales and marketing campaign, regardless of your objective. Putting customer experience at the forefront of your strategy ensures that what youre offering remains relevant to your target audience. This, in turn, promotes loyalty and increases customer lifetime value. Both of which improve customer profitability and your chances of long-term business success. All the best brands are constantly researching and learning new things about their audiences so they can evolve to meet shifts in behaviour and demand. Dont just rely on your business intuition. Theres a reason so much emphasis has been placed on creating a customer-centric approach these days. So if youre not taking this opportunity to improve your brand, youre in trouble, because your competitors certainly are. Need some help learning how to create Customer Journey Maps? We run regular courses so see what’s coming up on CX Skills. Find suppliers that can help with your Customer Journey Mapping including consultants, technology suppliers and more on our Business Directory. Pierre de Braux is a content strategist at Spirayltics, a full-service digital marketing agency based in Manila, Philippines. He's worked with a number of clients from operating in industries ranging from business process outsourcing, InfoTech, and lead generation, to HR, SaaS, and consumer goods. He has a strong passion for all things sales and marketing-related and is on a mission to change the world, one piece of content at a time. 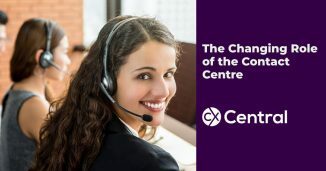 There is no question the role of the contact centre is changing as customer preferences change – which is why we recommend this one key process.